Memories of Winter and Patrick Valenzuela in Delta Downs Jackpot: Less than six months from now, Churchill Downs will host the 142nd Kentucky Derby (GI), the nation’s most prestigious horse race. 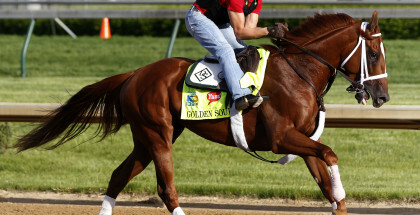 Until then, horses compete in races around the country to secure their spot. 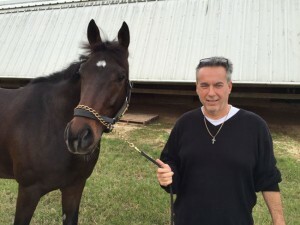 $1,000,000 Delta Downs Jackpot entrant Memories of Winter (#2, 10-1 ML) with his trainer Anthony Margotta, Jr.
One of those designated races is the $1 million Delta Downs Jackpot on Saturday, worth 10 qualifying points. The runner-up will earn four points, while third place gives two points and fourth place awards one point. The Jackpot features Memories of Winter, who sports an impressive pedigree for a horse sold cheaply twice, and his famous returning jockey Patrick Valenzuela. Valenzuela piloted 1989 Horse of the Year Sunday Silence. 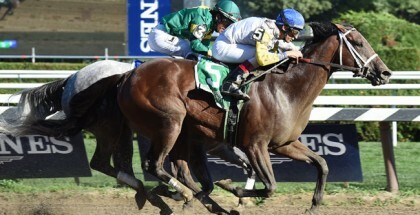 According to Equibase, Memories of Winter sold for $8,000 as a yearling and $21,000 this year. Considering his second dam Memories of Silver, who won two Grade I turf stakes races, that is quite a bargain! Also, Winter Memories came out of the same dam and captured two Grade I turf events. Fans described her as a monster. Furthermore, the sire Hard Spun is not exactly a failure either. His fee for 2016 just went up to $45,000. Hard Spun sired 2015 stakes winners Hard Not to LIke, Hard Aces and Smooth Roller, in addition to Questing and Hardest Core. Why did Memories of Winter cost so little? Sometimes horses with excellent pedigrees simply need a few more months to develop before buyers can see the potential. Memories of Winter quickly became a success though with two wins once the colt hit the racetrack. Good horses still benefit from talented jockeys. Valenzuela makes his return to riding on Thursday at Delta Downs, which will give him enough time to shake off the rust heading into Saturday’s big card. Now 53 years old, Valenzuela became suspended in early 2014 for failing to commit to his riding obligations at Santa Anita Park. While his suspension ended last month, Jeremy Balan reported to Blood-Horse that Valenzuela is unwilling to deal with the California Horse Racing Board right now. He is tired of going through obstacles to get his license. “I have no money to waste on lawyers, and the state of California shouldn’t be spending money on lawyers, either. My suspension is over and I should be able to get a license in California,” Valenzuela said. Valenzuela hops on board Memories of Winter for the first time on Saturday. The pair drew post position number two. With early speed from Sunny Ridge to his outside, it will be interesting to see the strategy taken. 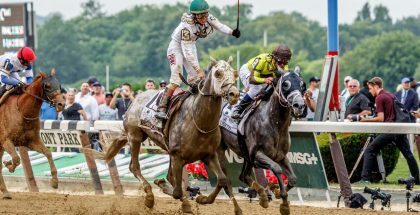 Just to touch upon Sunny Ridge briefly, the gelded son of Holy Bull turned in an excellent effort in the Champagne Stakes (GI) at Belmont Park in a race that collapsed on the front end. The winner Greenpointcrusader benefited from a sloppy track (his non-effort in the Breeders’ Cup Juvenile proves this) and Sunny Ridge should rebound. Sunny Ridge is one of the last active foals of Holy Bull too and would make a neat story if he arrived at Churchill Downs in May. Think about using Memories of Winter and Sunny Ridge in all wagers for the Delta Downs Jackpot. After the race, start adding up those points and debating the Derby contenders. It is never too early. 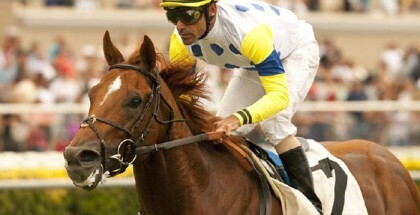 1 Forevamo 4-1 Hernandez/Stall, Jr.
2 Memories of Winter 10-1 Valenzuela/Margotta, Jr.